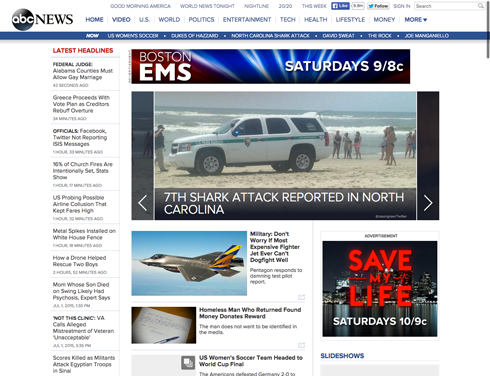 ABCNews.com has rolled out a modified design last month that focuses on a streamlined navigation. The new ABC News design now features a narrower, blue navigation bar that focuses on a narrower selection of section links, though a full list of categories is accessible via a dropdown menu. Individual show links have also been relocated to a dropdown. The new look retains the top news topics links near the top of each page along with the “latest headlines” running down the left side of the homepage. Other areas of the site remain largely the same. 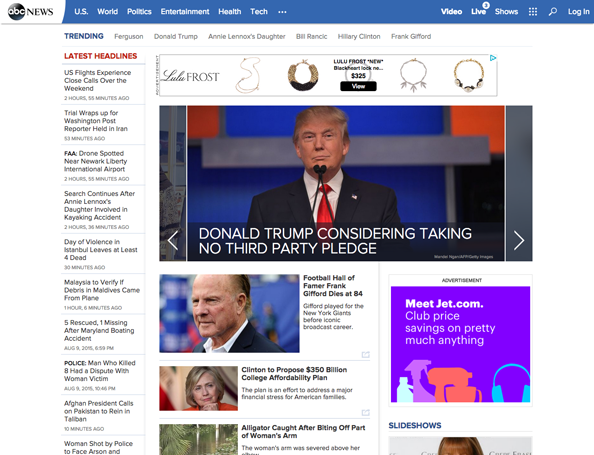 The redesign did not include any updates to the “Good Morning America” site, which is a joint effort with Yahoo!